Romantic sleeves aren’t going anywhere anytime soon. These days the bold thick fabrics of last year are moving in a more ethereal direction. Trade in those jacquards for some lightweight silk organza or sheer silk/cotton voile for something a little sexier but also magic hour in a meadow approved. Butch Wax Vintage, 2018. 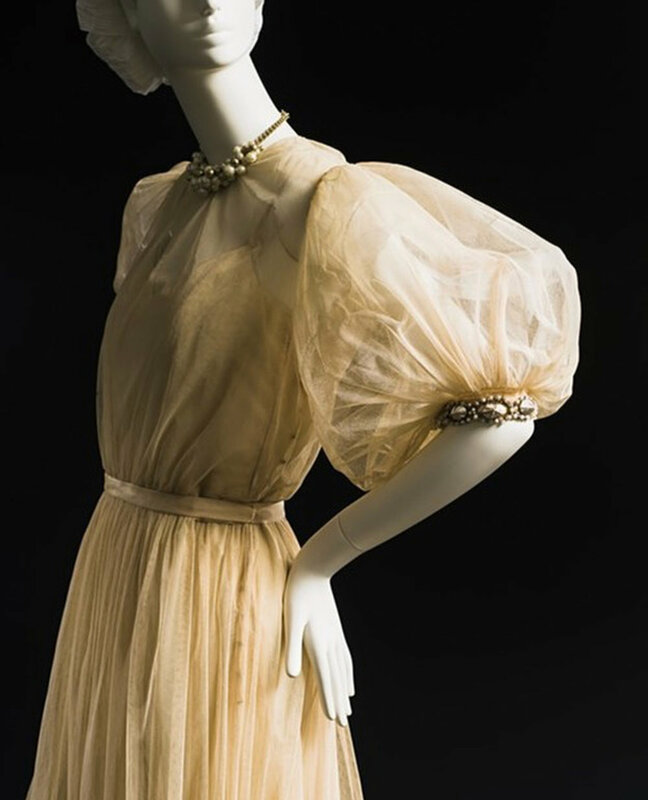 Dress is silk organza, 1930’s.